Hello, Linda Lucas here! 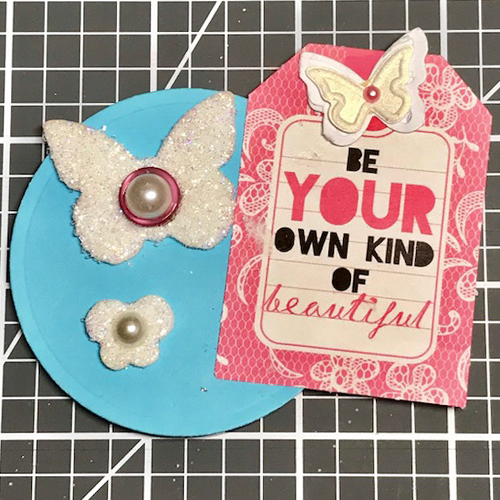 I am honored to be sharing a card on the Scrapbook Adhesives by 3L Blog. If you know me, you would know how much I LOVE their products – they are part of my staple creative diet! 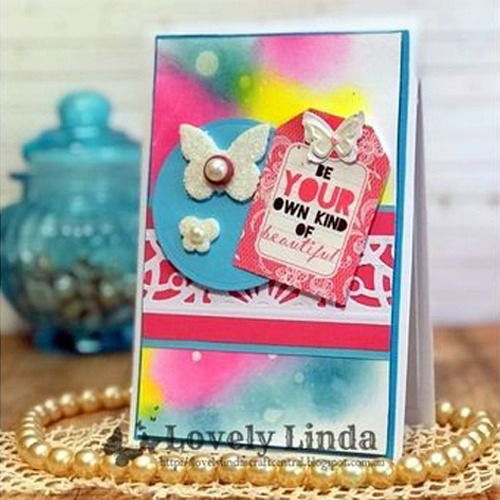 I have a colorful card using 3D Foam Butterflies and Adhesive Dots Medium for the embellishments. The E-Z Dots® Permanent Refillable Dispenser and 3D Foam Squares White Regular were mostly used to assemble the card. You can see how easy my card is to create using the right adhesives. For the card base, you can use watercolored paper or a patterned paper. 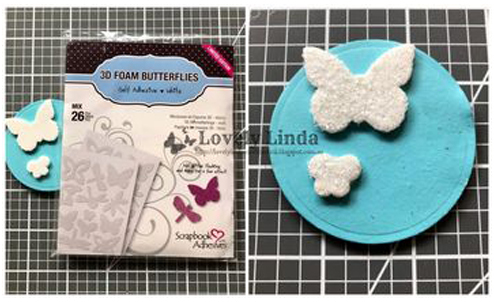 To start, place two different sizes of 3D Foam Butterflies shapes onto a circle die cut. Make sure they are placed more on the left side of the circle. First, remove the liner from the top of both butterflies and sprinkle white glitter on top to cover well. Next, press the glitter into the butterflies to secure and tap off excess glitter. 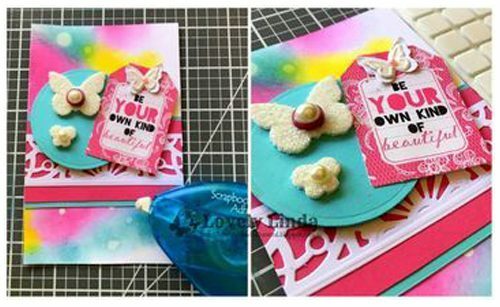 Add a button to each butterfly using a Adhesive Dots Medium, these adhere firmly to the glitter. Then place an embellished tag next to the butterflies with E-Z Dots® Permanent Refillable Dispenser. Next, layer strips teal and pink cardstock, along with an intricate die cut strip on top of the card panel with E-Z Dots® Permanent Refillable Dispenser. To pop up the circle and tag ensemble, I used 3D Foam Squares for added interest and a finishing touch. Voila! Beautiful! This entry was posted in 3D Foam Shapes, 3D Foam Squares, Adhesive Dots & Lines, Adhesives, Beginner, Cards, Crafts & Tutorials, E-Z Runner® Dispensers, Permanent Adhesive, Seasonal Craft Ideas, Skill Level, Spring, Tutorial, Wear your Adhesive on the Outside and tagged 3D Foam Butterflies, 3D Foam Squares Mix White, 3D Foam Squares Regular White, 3D Foam Squares Small White, Adhesive Dots Medium, Card, Card Making, Die-Cutting, E-Z Dots Permanent, E-Z Dots Permanent Refill, E-Z Dots Permanent Refillable, Glitter, Guest Blogger, Guest Designer, Linda Lucas, Tutorial, Wear Your Adhesive on the Outside. Bookmark the permalink.